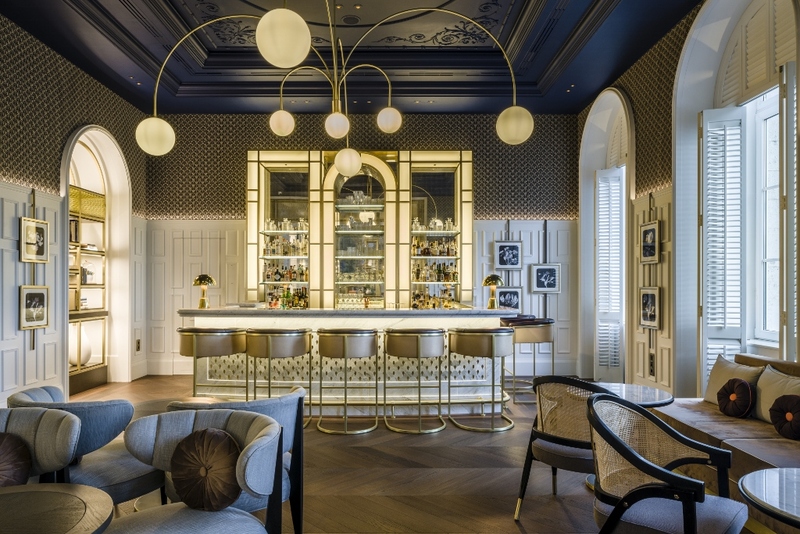 One of the jewels of the Riviera, Hilton Imperial Dubrovnik, has an all-new interior look that seeks to reinject some golden-age glamour to one of Europe’s most beautiful hotels. Situated just above Dubrovnik old town and dating from the 1890s, the hotel once served the great cruise liners of the early 20th century. With its French Riviera feel and the glamorous cachet of an international clientele, the hotel went on to be a roaring success for many decades, before being shelled during the Yugoslav War and used to house refugees. It re-opened in 2005 and the latest new works now seek to return its sophisticated heart. Designers Goddard Littlefair are responsible the new works, with two phases of the redesign now completed and a new look for the restaurant to follow in 2019. 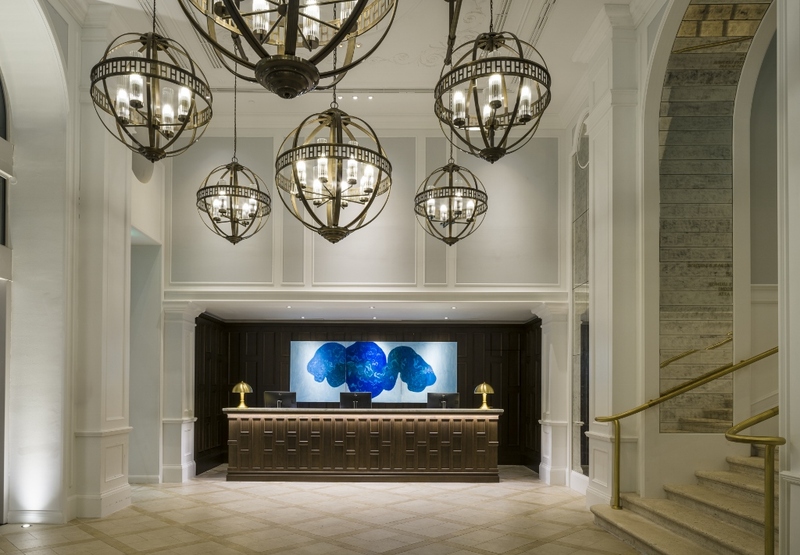 Re-launching now are the reception and lobby, Lobby Lounge, Imperial Bar, Executive Lounge, all connecting and guest-room corridors and the hotel’s 149 standard and executive rooms and 9 suites. Major features include the stunning, double-height reception, with tall, arched windows, cool ceramic flooring and a spectacular bespoke central chandelier, made up of eleven, sculptural, globe-shaped and antiqued brass pendant lights, hanging from chains in rows of three on antiqued brass rods. Location-specific art is a major part of the scheme too, with a triptych of artworks by Croatian artist Antonia Čačić hanging behind reception, for example, specially-commissioned for the project by art consultants ARTIQ (see above). The 3m-long abstract triptych incorporates a palette of soft hues inspired by the colours of the Dalmatian coast. 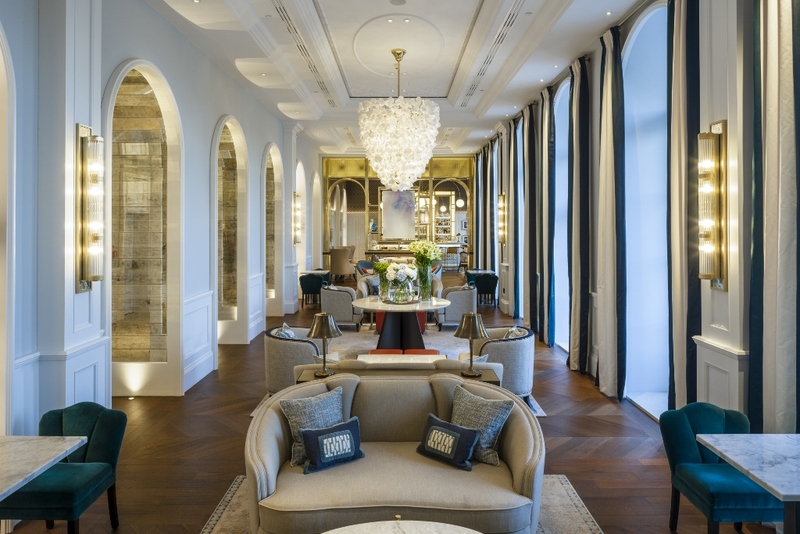 The scheme’s new public spaces – The Lobby Lounge and The Imperial Bar – are followed by the members-only Executive Lounge, all with stand-out lighting throughout including a bespoke chandelier in The Lobby Lounge, inspired by 1950s bathing caps with cascading white porcelain petal shapes and a bespoke, six-armed chandelier in the Imperial Bar, in brass with spherical opal glass shades. 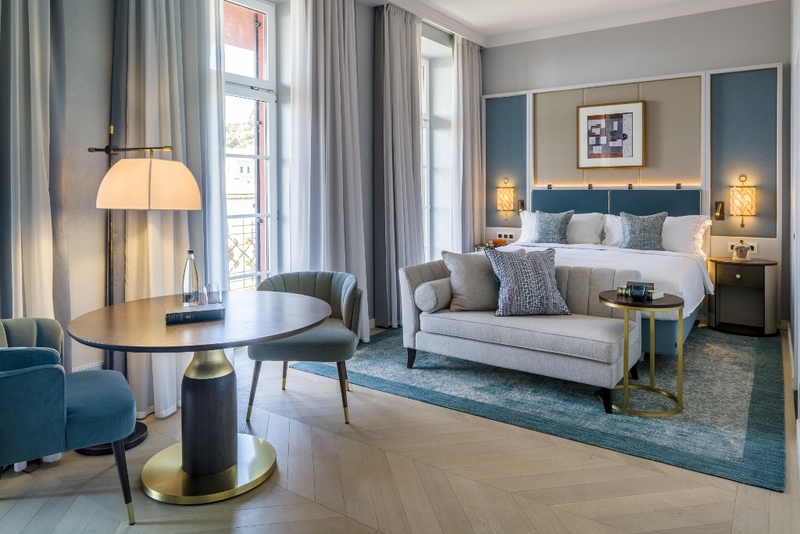 Upstairs, the feel of the rooms is light and fresh, with classical clean lines and a refined and elegant colour palette of blues and silvers, reflecting the coastal location.